Before the Marvel Cinematic Universe, a super-connected movie world was something that didn’t come around to often. Until the studio broke out in 2008 with Iron Man, the idea barely even seemed possible. But nowadays, it’s hard to find any major studio that isn’t investing in some form of a cinematic universe. However, the MCU still remains the cream of the crop. They already struck gold this year with Captain America: Civi War, and they might just do it again in November when Doctor Strange hits theaters. Starring Benedict Cumberbatch (Sherlock), the film tells the mind-bending tale of a strange, mysterious man who becomes the primary protector of Earth against mystical threats. The titular character is a refreshing one to see in MCU, particularly because he is adding magical elements into the story. And even with the large amount of footage we have seen so far, there’s still plenty to discover with this one. 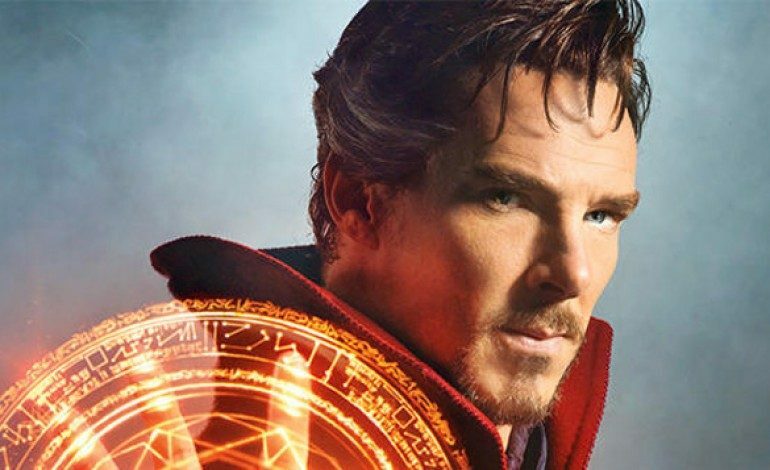 Not only did Cumberbatch discuss details about Doctor Strange during his surprise appearance at Comic-Con, but director Scott Derrickson recently spoke to Comic Book about how the film fits into the big picture in the MCU. The director first discussed his inspirations for the crazy visuals in Doctor Strange, revealing that many of them came from early concept art by the character’s creators. I think that the short answer is this is the movie where Marvel goes full weird. That full weirdness is written in the Ditko images, the Jack Kirby images, the early Doctor Strange comic book panels that are still to this day so mind blowing. Because the titular character has such a deep backstory in the comic book series, there’s a lot of different places for Derrickson to draw from. Taking advantage of the film’s surreal style, Derrickson teased how the film is the beginning of something even bigger than the MCU. Because despite the huge scale that Marvel has already taken their movie world to, there is apparently even more that could be done with it. What the comics did was, they brought with Doctor Strange an extra dimension into psychadelia, mysticism, and spirituality and all these very 60’s things and broke open the Marvel comic book universe into the Marvel multiverse. I think Doctor Strange is going to be the beginning of the Marvel Cinematic Multiverse. It’s really serving the same function that the comic did. Even though it was a weird aberration as a comic book, I think it was a real linchpin in the comics. It ended up being decades of new stories and I think this movie will do the same thing. The idea of a multiverse within the Marvel world is pretty intriguing. The two trailers released for Doctor Strange have put a major focus on the dangerous magic that the titular character comes across, so it would be no surprise if Marvel went further with those ideas. When looking back at the curious choices that the studio has made before, there’s no telling what lay in store for us now. Doctor Strange opens in theaters on November 4, 2016.